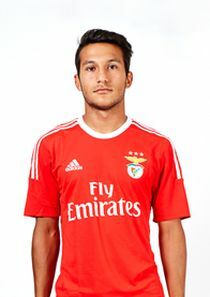 João Carvalho is a member of the very talented 1997 Benfica generation, alongside others, such as Renato Sanchez, Diogo Gonçalves, Pedro Rodrigues or Gonçalo Rodrigues. João was one of the leaders in the “Eagles” U-19 team in 14/15 season, which had a very good season in UEFA Youth League, but was stopped with a little bit of luck for the opponents by Shakhtar Donetsk in the quarterfinal. He has not played in the first team so far at Benfica, but is a reserves player in the second division and it is possible that good games there will pave the way for him to play in the senior team of the current Portuguese champions. He is a regular youth international for Portugal, where he started at the U-15 level and currently plays for U-19. It is worth noting, that he played over 40 games for the national teams in total.